The business case for deploying off-grid renewables in rural areas has never been stronger, and innovative business models are emerging to underlie growth in the sector as exemplified by the positive feedback from the latest Off-grid Power Conference at Intersolar (Munich, 31 May – 1 Jun 2017) and the announcement of the joint declaration for renewable energy at the European Development Days (Brussels, 8 June 2017), wherein the EU affirmed its commitment to bring sustainable energy access to an additional 30 million African households. Today, the industry is stepping forward and is ever more committed to deal with the challenges of the future. In August, we’ll turn our focus to successful business models in Latin America. Join us at Intersolar South America to learn more about the off-grid market in the continent. Identifying the best fit-for-purpose renewable energy technologies and business models for sustainable development in rural areas is crucial to attract investors and financiers to scale up energy access. The off-grid energy access sector is highly dynamic with technologies and business models that are constantly evolving. This is why it is so important to test ideas to understand what does and what does not work. In this newsletter, we explore the various innovative business models undertaken by ARE Members ENERGIA, Schneider Electric, SNV, Phocos and Simpa Networks that look at women-inclusive models, the latest solar charge controller technology and how to create strategic empathy for your business. For other successful business models, please refer to our latest publication with the AEEP on Energy Access Best Practices. As clean energy access and services are an elementary part of contributing to Paris agreement, we urge all governments in the world to stay committed to the delivery of energy access goals to the remaining 1.1 billion people without electricity. In respect of the increased attention on empowering women in the energy sector, we welcome Nishtha Satyam’s (Head, Strategic Partnerships, Policy Impact (M&E) & Public Relations, UN Women) insights on involving women to be energy leaders in their communities in her guest editorial. In that same context, a campaign by ARE and ENERGIA was launched earlier this year to promote women as key change agents to achieve SEforALL objectives. Since the end of April, we are pleased to welcome 2 new companies: Generaciones Fotovoltaica de la Mancha, Solaris Offgrid and XANT. These companies will now benefit from ARE services specifically designed for Africa, Asia and LAC. For those considering to join ARE, feel free to contact me. We look forward to collaborating together! Finally, are you interested in getting more young people engaged and giving them a chance to develop their career in the field of clean energies on an international level? Support our work with a donation and share the opportunity amongst your business and private networks. As ARE grows, so is the importance of having high-calibre young people in the clean energy off-grid sector. Your donation will help us to increase our range of services to develop rural electrification trainings, internship programmes and internsify university collaborations. India is in the middle of a profound transformation in the power sector. With ambitious targets such as a reduction of emissions intensity by 33%-35% by 2030 towards the United Nations Framework Convention on Climate Change, achieving 175 GW renewable energy capacity by 2022, and Electrification For All by May 2018. While significant progress has been made on all fronts, achieving energy access that is affordable, reliable and equitable continues to be a challenge. And despite empirical evidence suggesting a direct co-relation between gender equality in a country and access to electricity, intentional investments in women’s access to energy remains scarce. Further, lack of access to energy compounds multi-dimensional poverty and exclusion that women face leading to unfavorable and irreversible outcomes for the environment and the economy. Given this context, there is a huge opportunity to leverage the private sector, especially last mile energy entrepreneurs, in developing and scaling decentralised renewable energy solutions that are complimentary to grid expansion, to ensure access to quality supply for all. For DRE solutions to reach the scale that is required to meet existing gaps, there needs to be a supportive ecosystem for energy access including appropriate technology, last mile entrepreneurs, affordable finance for end users and enterprises, skilled technicians for installation and servicing, as well as a conducive policy environment. Business models that compliment and leverage existing infrastructure and institutions are likely to be more sustainable. Women have a comparative advantage in promoting energy access and enormous potential to create distribution and servicing networks in rural areas. Evidence suggests a high return on investment, financial, social, and environmental outcomes from gender responsive clean energy solutions. Energy interventions that take into account women’s needs are more likely to have a significant impact on addressing household and community energy poverty and on gender equality; and ensuring women’s equal participation in energy interventions has much higher potential of benefits for all (UNIDO, 2013). In their role as entrepreneurs, women could play a significant role in fostering inclusive and sustainable economic growth. According to estimates, women entrepreneurs can demonstrate more than twice the level of business capacity and success compared to men (AIMS, 2016). New research from Ernst & Young also shows that women entrepreneurs are powerful job creators – even outperforming their male counterparts on this front. Because women are close to their customers and know local circumstances, women entrepreneurs have enormous potential to manage supply chain and acquire new creditworthy customers in rural areas, lowering the customer acquisition costs (AIMS, 2016). Leveraging women as agents of change in access to clean energy has the potential for a range of inclusive business models, across technologies and scales of operation (ARE, 2017). In partnership with the Ministry of New and Renewable Energy (MNRE), Govt. of India, UN Women is implementing the Women’s Entrepreneurship for Sustainable Energy (WESE) programme. The programme implemented in four states addresses fundamental gender-specific barriers facing women energy entrepreneurs, women’s productive use of sustainable energy, and women’s involvement and leadership in gender-sensitive energy policy-making. Women as a subject of investment will enable greater inclusion and sustainability towards a more energy secure future for all. Pursuing the goal of universal access to modern energy services by 2030 requires a departure from business-as-usual. Therefore, ENERGIA, together with partners in Africa and Asia, develops programmes and advocates policies and investments that take into account the vital role of women in advancing energy access in hard-to-reach communities. 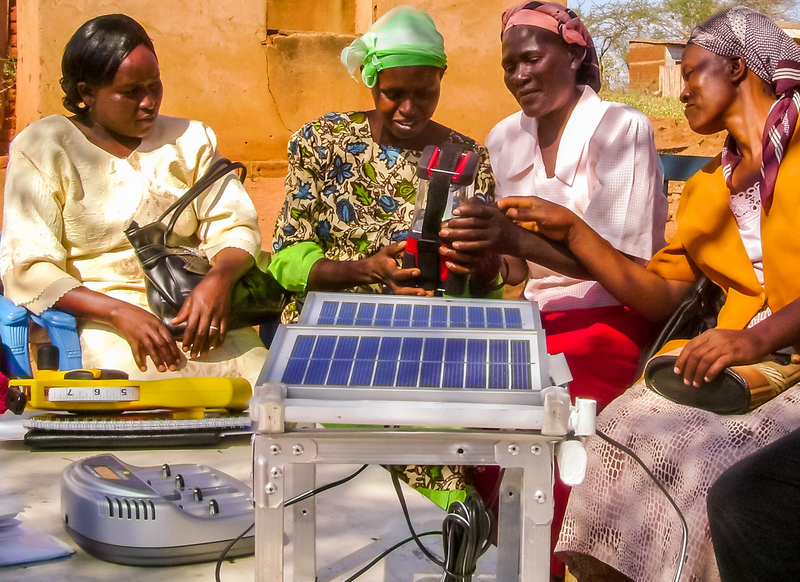 The women-centric “last mile” distribution model for affordable clean energy technologies combines the best of an enterprise development model with a women’s empowerment model. Our approach involves capacity building, mentoring and other ways of supporting women (and their networks) as energy entrepreneurs in the areas of clean energy and water. This three-pronged approach entails enterprise development, addressing women entrepreneurs’ specific constraints, and doing this in a way that empowers the women and builds their agency. Many of the women involved go on to become social leaders and role models in their communities. They showcase how women can run successful businesses, and negotiate and advocate for their interests. 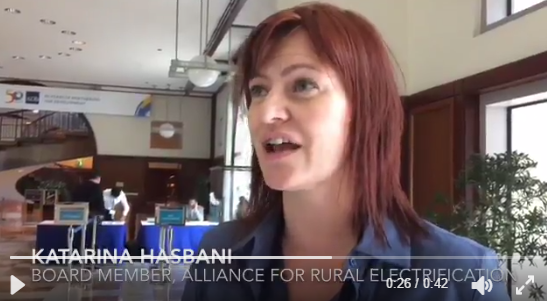 At the same time, this market-based innovation brings clean energy to rural customers’ doorsteps, where traditional distribution channels have simply not reached. One of the largest challenges faced by women entrepreneurs is limited access to finance. Our partners have been helping break down those barriers in various ways. For instance, to make credit available to the solar lights and improved cookstoves entrepreneurs in Senegal, Energy 4 Impact has partnered with the private sector and government organisations. A financing mechanism has been set up that enables suppliers to sell energy technologies on credit. Women entrepreneurs provide 25% of the cost upfront and repay the remaining 75% over 90 days. Energy 4 Impact guarantees the value of those products through a Loan Guarantee Fund set up for this purpose with a local micro finance institution. Another example of practical, yet strategic, assistance to sustainable energy entrepreneurs comes from Kenya. Practical Action Eastern Africa places a special emphasis on helping women entrepreneurs expand their market beyond immediate neighbours and friends. To increase demand, our partner uses strategies such as marketing campaigns supported with public open-air demonstrations; facilitating entrepreneurs’ participation in trade fairs, county environment days and other events; and door-to-door marketing. Most of these activities are led by the individual entrepreneurs, and their tactics are adapted to the specific context of each participating county. There are many more examples from our programmes, as well as concrete results of those efforts, that underscore our core argument: women must be at the heart of energy access discussions, policies and investments! Women play a key role regarding local development and energy management in emerging economies. Most of the micro-enterprises in the informal sector are held by women, often associated with higher risks and precarity. Women are also the primary managers of energy in communities, which makes them the first exposed to energy pollution. However, they are not represented in energy-related jobs as they tend to be discriminated on the ground of their gender regarding access to technical training and jobs such as the one of electrician, as well as to be excluded from classical funding schemes. Yet, most of the programs targeting women entrepreneurs in energy are focused on non-technical activities, like the resale. At the Schneider Electric Access to Energy program, we believe that women should also be offered the opportunity to access careers requiring hard-skills to be present at all the stages of the energy value-chain. Thus, we support local organisations specialised in women empowerment and skills development, creating inclusive ecosystems offering training, mentoring and funding to enable women to become electricians. We also provide local partners with incentives to become more gender aware by promoting good practices and fostering bottom-up dynamics. In Brazil, we developed an entrepreneurship program with a gender lens in partnership with educational institutions and NGOs. Men and women are trained together in electricity and solar energy as well as management, and provided with the adequate tools to launch their activities. This enables mutual understanding and recognition: when seeing women workers’ performance, men abandon their potential prejudice. In the meantime, women are mentored to overcome all the hindrances that they face. We also partnered with Village Exchange Ghana and Social Venture Africa to develop electricity and solar energy related skills for disadvantaged young women in Ghana, boosting their employability and providing them with new opportunities. Feedback from our program show that trained women perform very well as electricians. However, much remains to be done when it comes to social acceptability for women in energy as they are not always taken seriously and they sometimes face insecurity when operating in some countries. The Access to Energy program commits to go forward on this matter and to play a double role of economic empowerment and advocacy. The energy industry, traditionally a male domain, has made great strides in attracting larger numbers of women into engineering and managerial positions over the past decade. Women still represent a fraction of the solar energy industry’s workforce and even fewer hold engineering or other technical positions. However, there is a new trend of more women joining not only solar, but renewables. This pattern is becoming quite strong for Middle East and African countries as well. Nowadays, more and more women hold senior management and executive positions in the industry. Female executives such as Gulnara Abdullina, JinkoSolar’s General Manager MEA. Her skills, authority and influence during the past eight years have had a substantial impact on the company’s development. Gulnara Abdullina has been involved in renewable energy since 2007. She joined JinkoSolar in Shanghai, China in 2009 as a first foreign employee to spearhead international sales and in 2010 she was assigned to establish and lead the global business development team. In 2013-15 she focused on emerging markets in the Middle East, Africa (MEA) and Latin America. Two years ago, she was appointed General Manager for MEA to lead all commercial operations in the region. 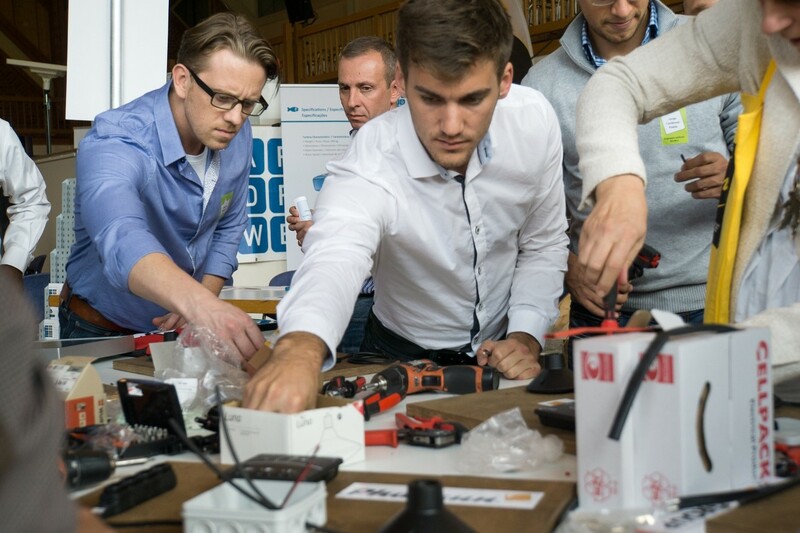 In 2014, Gulnara has been selected as one of the young new energy leaders by RECHARGE 4040 Initiative, which brings together 40 clean energy pioneers under 40 years old. Besides her, another eight female professionals were selected. If we look at Middle East and Africa, there is a growing presence of women entering workforce as engineers, particularly strong in Middle East, women- entrepreneurs or senior executives of firms in Africa. Also, women have a natural stimulus to nurture, so they tend to be more attentive to a good cause, such as electrifying remote communities, off-grid renewables. Indeed, the off-grid solar sector has seen impressive growth in the past five years; it is highly effective for enabling access to basic electricity services. Africa is the leading market where the sector is expanding. JinkoSolar solar panels have been utilised in off-grid PV systems in many African countries to offer farmers, mining and other industrial companies with a cost-effective grid independent complement to traditional diesel generators. The electricity generated by JinkoSolar’s quality solar modules installed in off-grid projects within Africa will definitely reduce the daytime consumption while securing our clients with a natural long-term hedge against all rising costs of power. 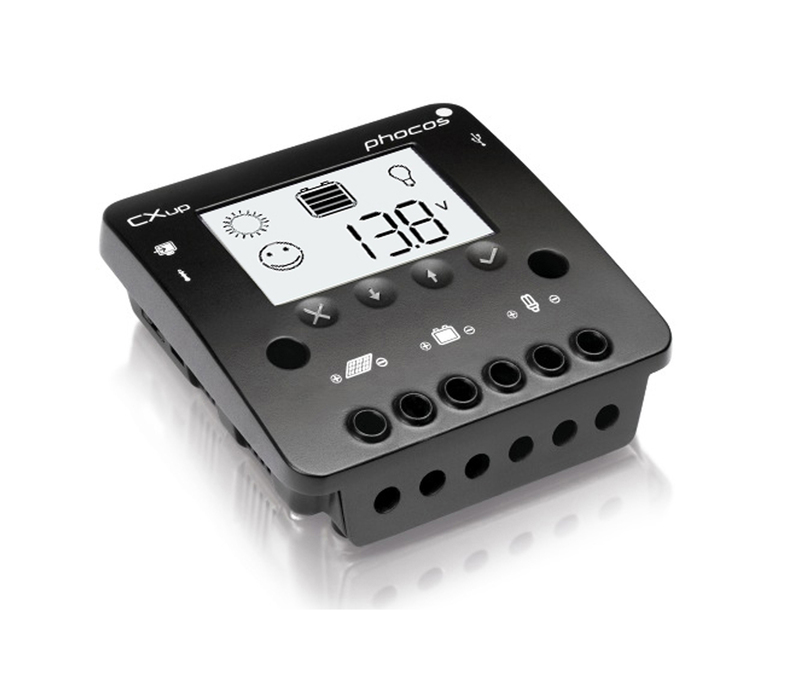 PWM technology: New Phocos CXup solar charge controller with integrated temperature sensor and performance compensation (compensates battery load voltage drops) features improved flexibility of use and user comfort with big LCD display. New in Phocos’ successful PWM charge controller series is the innovative CXup series with three models from 10 to 40 A maximum charge and load current. In addition to Phocos’ highly efficient four-stage PWM charging control this series also features automated temperature compensation, further increasing power generation efficiency in demanding mobile applications like boats or mobile home systems, in areas with major temperature fluctuations and in very high temperatures. The charge controller’s housing is manufactured in glass fiber reinforced polyamide. Directly connected to the battery, the temperature sensor (included in delivery) ensures reliable over- and undervoltage protection. New LCD sensor keys, another innovative Phocos feature, give fast and convenient access to a vast amount of system data and control, programming, and monitoring functions. The new charge controller also features a convenient USB charging port (5 V, 1,500 mA), acoustic alarms and a programmable nightlight function. Phocos is a world-leading manufacturer of solar-powered charge controllers and components for off-grid power supply. Phocos is dedicated to enabling ultimate off-grid solar power efficiency with innovative, eco-friendly technology. The company’s highly specified product portfolio ranges from premium standard charge controllers and integrated solar power management solutions to high efficiency lighting systems and powerful low-energy DC appliances, e.g. refrigerators and freezers. Phocos is active all over the world, with a special focus on making the world better by bringing reliable off-grid power to people in emerging and developing countries. Around 1.1 billion people do not have access to electricity, and the hardest hit communities are in sub-Saharan Africa. Renewable energy, in particular solar energy, is one of the ways we can help to meet the energy needs of these people who do not have access to on-grid sources. Although solar energy has penetrated a number of markets across the developing world, the penetration is very unevenly spread. This situation has prompted SNV, Netherlands Development Organisation to launch our “Call to Action – Igniting Solar Energy Markets” at the recent Vienna Energy Forum. The objective of this call is to provide energy access to 5 million households, in 5 African countries within a 5-year period. Within this time frame, SNV aims with the help of partners to distribute 5 million Lighting Global certified, entry level solar products to low income communities. Entry level solutions are the focus of this call as experience in other countries has shown that those products will pave the way for further solar market development. Also, the impact of entry level solar solutions cannot be under-estimated. 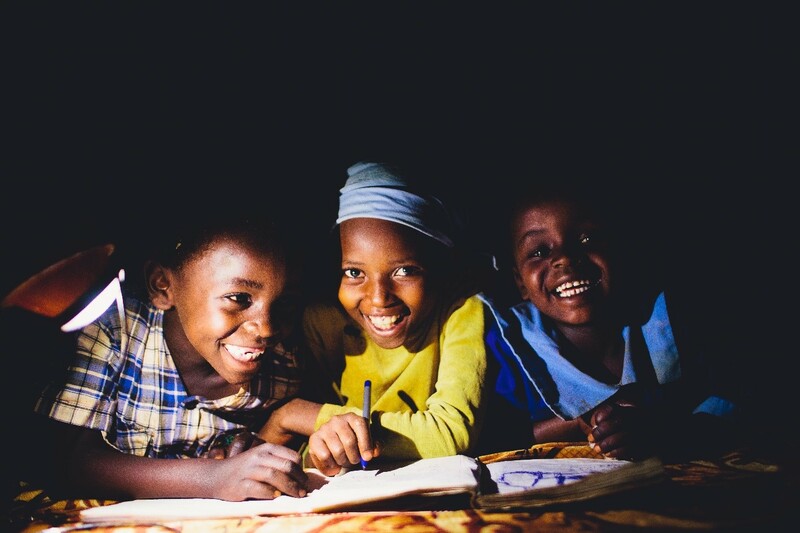 Replacing kerosene with solar lamps offers returns of 15-45 times the cost of the solar light. The launch event which was opened by Rachel Kyte, Chief Executive Officer of Sustainable Energy for All, and special representative of the United Nations Secretary-General for Sustainable Energy who congratulated SNV on taking leadership with this important initiative and said “What I like about this ambition is the integrated approach - it focuses on supply, on demand as well as on quality. This Call to Action is a good example of market creation and transformation at scale. It will bring attention to countries that are often flown over by the solar market”. 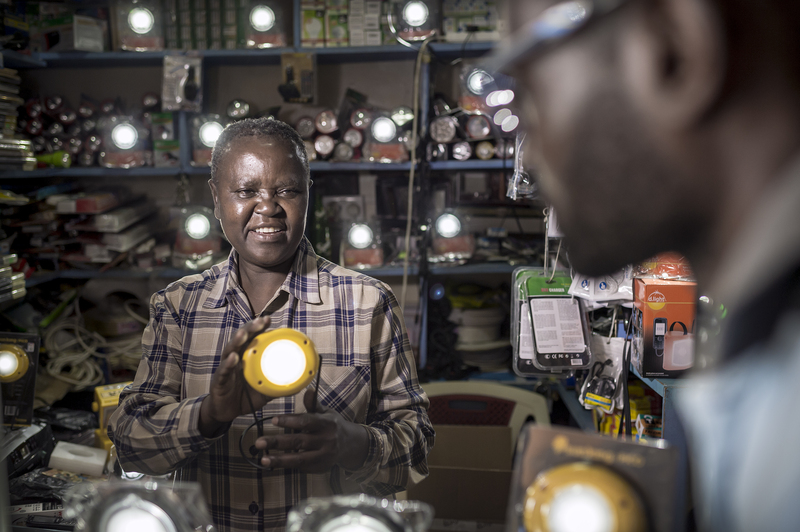 Through this Call to Action, SNV and partners aim to activate last mile distribution of entry level solar products in underserved markets. This will be achieved by triggering market parties to distribute quality products as a first step in building the market for sustainable, off-grid electrification. Also, by creating and incentivising sustainable supply and demand for energy products and by improving the enabling environment. Countries potentially being considered for this call to action are Benin, Burkina Faso, DRC, Ethiopia, Mali, Niger, Uganda, and Zambia. SNV invites the stakeholder community to join this call to action! To learn more, please contact Sinead Crane. Nothing in my career has compared to the challenge and the excitement of building Simpa Networks, India’s first rural rooftop solar leasing company. Working together with an amazing team of leaders, investors and partners, we’ve distilled three rules of “strategic empathy” that we think are critical when serving the rural consumer in emerging markets. Rule #1: Create value your customer. In emerging markets, rural and low-income customers are not well understood, and by definition underserved. In so many ways, they are underserved by their governments and underserved by the private sector who have failed to understand and address their needs. This creates a unique opportunity for entrepreneurial companies to build sustainable competitive advantage through strategic empathy. Get out into the field early and often, and use proven Human-Centered Design methodologies to deeply understand your target customers, their needs and desires. You’ll win by knowing your customers better than anyone else. Rule #2: Create value for your channel. We sell through village-level entrepreneurs who earn commissions for generating valuable sales leads. Through deep engagement with our entrepreneurs – and strategic empathy - we learned that lucrative commissions are not the only thing that matters. We needed to find ways to increase the entrepreneurs’ visibility and status in their communities, with marketing events, branding, t-shirts and posters. We would have failed if we had assumed that it was only about the money. Rule #3: Create value for your employees and partners. Entrepreneurship is all about assembling and organizing the multitude resources needed to achieve your ambitious vision. Nothing worth doing can be done alone. And to win over the best talent and strongest partners, you need to deeply understand their needs and motivations. At Simpa we have partnered with domestic Indian banks who are now financing our customers' rooftop solar systems. That's great for Simpa and our customers but it was important for us to understand how we can make this more valuable the banks too. By deeply engaging with the banks we were able to structure our partnerships to deliver shared value. Every business is unique, but if you've got an ambitious vision - and I know you do - then you're going to need help along the way. Take the time to deeply understand what your customers, channel, employees and partners truly value. Strategic empathy will help you discover and create those mutually beneficial relationships, persevere and achieve your vision [Simpa Manifesto]. Many solar energy project developers in sub-Saharan Africa struggle to secure commercial viability. Across the continent, project developers are striving to take their innovative technologies and business models to the market, but are hampered in finding the right sources of finance due to constraints in their experience, networks, or time. As introduced in the April ARE Newsletter, the RECP Finance Catalyst supports these developers to improve their proposition to investors. The program de-risks projects by for example helping them structure their business cases, improve their financial models, or adapt their company structure to better accommodate financiers’ needs. Solar PV technology has the key pre-requisites for widespread adoption across a variety of business models. It has been proven to work in practice for over 25 years, is relatively cheap per MW installed, and it is generally not very complex to implement – making it one of the best scalable renewable energy technologies available. Although operational for just over a year, the Finance Catalyst has already received over 180 applications from across sub-Saharan Africa. After an extensive preliminary viability assessment carried out by experts in the team, 35 of these proposals (almost 20%) have currently been selected for our services. Within the range of 1 – 35 MW installed capacity, the Finance Catalyst has helped a wide variety of projects in the solar sector. Our program has served more than 15 solar PV businesses, with projected investment volumes varying between €1.2 million and €50 million each. Most of these projects employ an independent power producer model (IPP), though other business model setups such as mini-grids, solar home systems (SHS) and captive power are supported too. In general, we see that the main recurring hurdles in these projects’ development are contingent upon the type of model used. These can include for example a lack of funds to prove technical and financial viability of plants (IPPs), a shortage of working capital for maintaining distribution networks (mini-grids), or a dependence on volatile and unpredictable cash flows (SHSs). Working directly with the project developers, the RECP Finance Catalyst team solves these issues by employing a structured, tried-and-tested approach, centred around dedicated one-on-one contact between project promoter and advisor. Despite its novelty, the program has quickly established itself as a professional advisory service. Interested? More information on eligibility and submission procedures can be found on our website. On the occasion of the RES4MED 5th Annual Conference in Rome, RES4MED and ARE have signed a Memorandum of Understanding (MoU) on 22 May 2017 to formalise their cooperation. 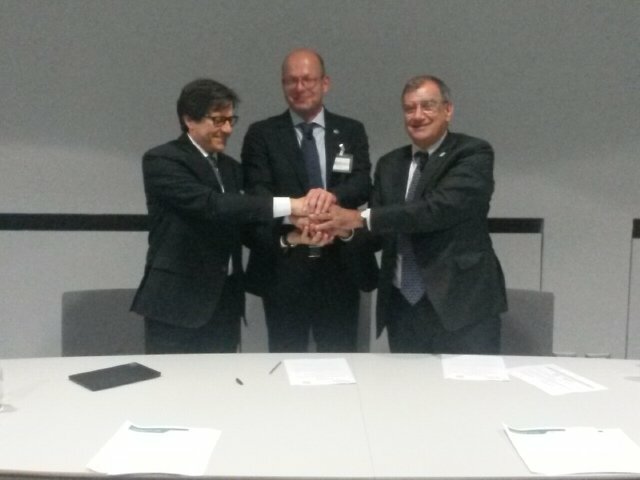 RES4MED Secretary General Roberto Vigotti and ARE Executive Director Marcus Wiemann gathered at the event to formalise the MoU agreement in the presence of conference attendants and the press. The MoU is the result of the clear synergies between the two associations and will provide a framework for future collaboration on decentralised renewable energy promotion in developing and emerging markets. ARE and RES4MED’s enhanced cooperation will centre on contributing to each other’s activities or developing joint activities such as policy and business dialogues, knowledge and network exchange, capacity building & training, and outreach activities. Besides looking back at the highlights of five years of RES4MED, the Annual Conference provided a platform to discuss strategies for sustainable energy promotion in Africa and centred on the role of innovation as a key enabler to power the continent. 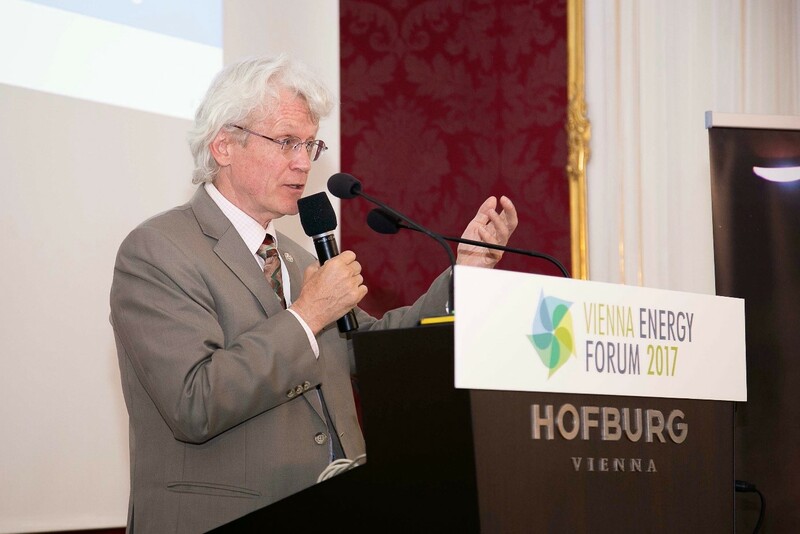 ARE Executive Director Marcus Wiemann joined the conference as speaker during the session on “Innovation thinking and innovative business models” where he highlighted the importance of innovative approaches for rural communities to push through electrification and local business creation [press release]. The Off-Grid Power Conference 2017 attracted over 450 participants at Intersolar – the largest solar PV trade fair in Europe. 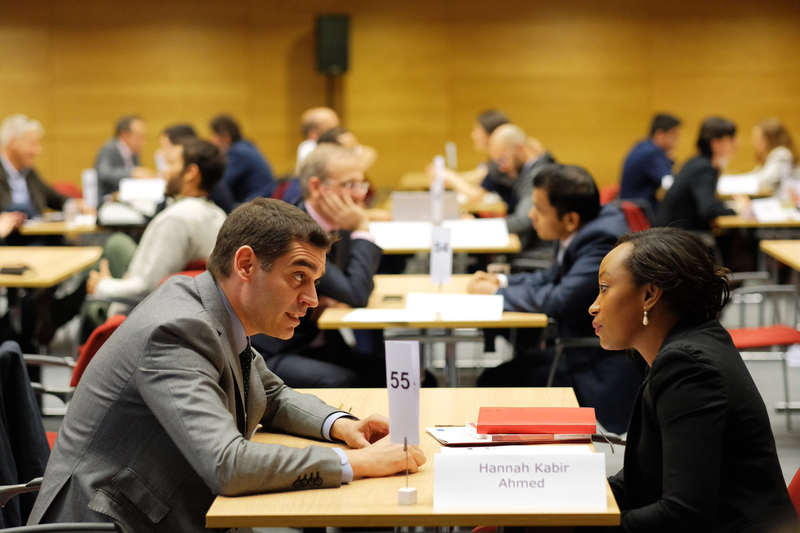 After a series of successful conferences, this year’s conference offered a diverse 2-day program and was once again put together by BSW-Solar, ARE and Intersolar Europe. This year’s conference was also supported by the German Federal Ministry for Economic Cooperation and Development (BMZ). Topics covered included off-grid hybrid PV, mini-grids & storage, off-grid solutions for industries, telecommunications & infrastructure, investment & risk management, off-grid in the context of humanitarian aid and energy in agriculture. The conference was the opportunity for manufacturers, system integrators and project developers to meet high-ranking delegations, policymakers, investors and the international press [press release]. The Off-Grid Power Conference is the result of an established partnership with Intersolar. In this context, ARE will continue to implement off-grid workshops in Latin America and Asia. The Intersolar South America taking place in São Paulo on 22-24 August 2017 (see below) and Intersolar India in Mumbai on 5-7 December 2017, for example, will also aim to connect off-grid businesses in both continents. Since the lifting of commercial sanctions, Iran has been looking at attracting new investments into its energy sector. 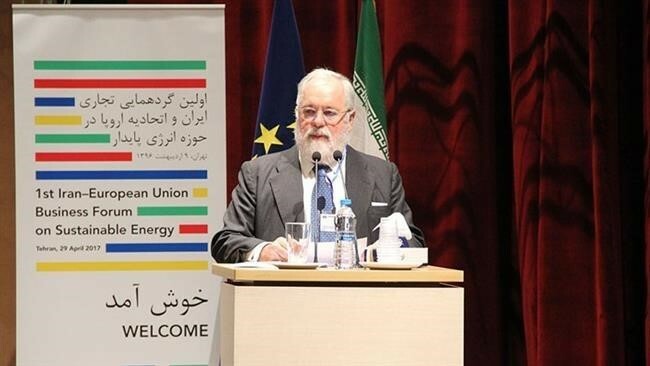 ARE Board Member Katarina Hasbani (Revelle Group) joined this first opportunity under the newly relaunched EU-Iran energy cooperation together with Commissioner Miguel Arias Canete and his delegation in Tehran on 29-30 April 2017 to discuss opportunities for renewable energy in Iran. Iran has put in place a comprehensive policy and regulatory framework favouring on-grid renewable projects. The country has as of today 336 MW of installed renewable capacity, of which 190 MW is hydropower. There is potential for off-grid applications, especially in remote areas with electricity access (99.4% electrification rate in 2014) and agriculture/food processing. Iran has set a target of 5 GW of renewable capacity to be developed between 2016 and 2020 in its 6th Development Plan, and a further 2.5 GW is planned between 2020 and 2030. To get there, the national regulatory framework has been adjusted over the last years and mainly consists of technology-specific Feed-in-Tariffs granted via Power Purchase Agreements (PPA) over 20 years (with a 30% decrease of the tariff after the 10th year). 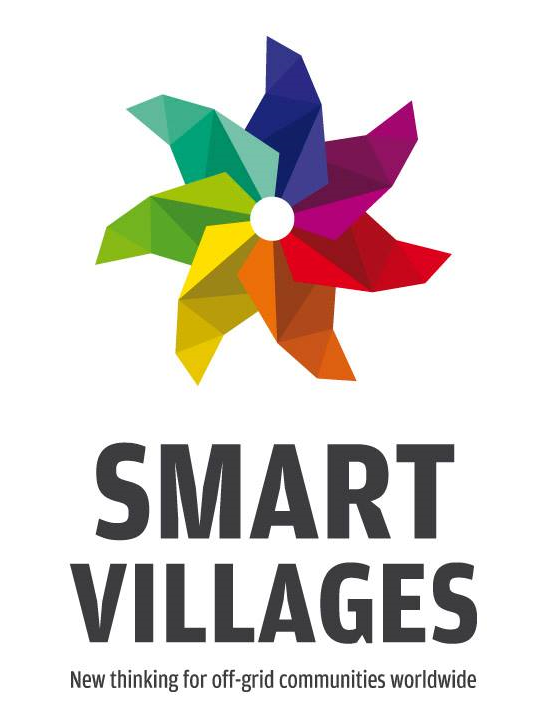 The Smart Villages Initiative held an international consultation in Panama City, Panama on 3 May 2017 to help collect and distil the knowledge and experience gathered from the last 15 months in Latin America and the Caribbean. reliable technologies, with a strong service network (to avoid PV graveyards). Overall, the workshop was very interesting with vivid debates and a good opportunity for the Latin America Sub-Working Group to build up its network. The Forum held in Manila, Philippines on 5-8 June 2017 attracted more than 1,500 professionals from across the technology, finance, and policy communities working in clean energy. ARE Board Member Katarina Hasbani (Revelle Group) spoke on accelerating startups and PURE in Asia (presentation; video). Given the clear announcement to reinforce ADB’s focus on energy access please note that ARE has established a Working Group dedicated to Asia with the purpose to deepen collaborations as well as to give guidance to companies on how to best engage in future initiatives and Call for Proposals to fund their activities. In case of interest please contact ARE Policy & Business Development Officer Jens Jaeger. ARE Board Member, Karl Kolmsee (Smart Hydro Power GmbH) contributed to the Workshop in Tegucigalpa, Honduras on 6-7 June 2017 as speaker during the session on “Rural electrification - General situation in Latin America and the Caribbean and other regions”. 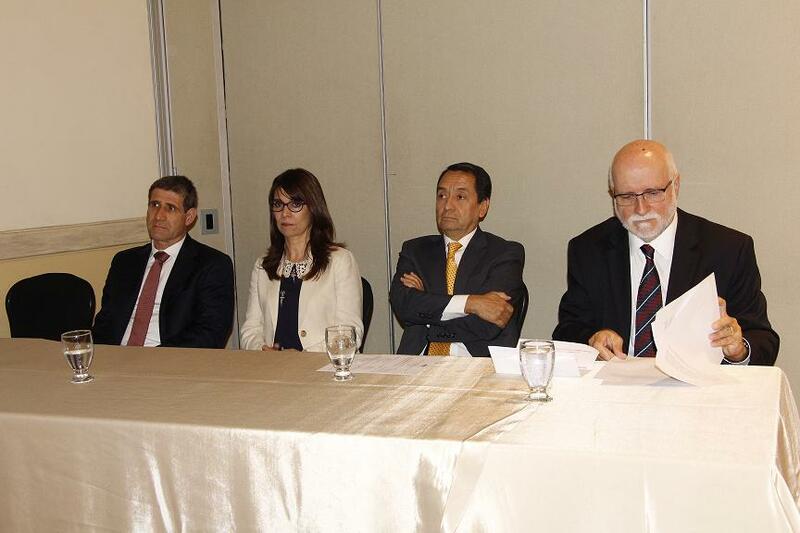 The Regional Workshop, funded by IDB, promoted the exchange of best practices in the development of modern energy programmes by institutions and professionals working in the renewable energy field in Latin America & the Caribbean, in particular in Honduras. The workshop was attended by representatives of Energy Ministries and Secretariats, Electric Companies (Brazil, Guatemala, Ecuador, Nicaragua, Haiti), International Organisations (OLADE, ECLAC), representatives of International Cooperation accredited in Honduras, NGOs, international companies and research centres working on the topic of electricity coverage [agenda; presentation]. In the context of developing the energy access landscape in Latin America, ARE and will work together on a joint publication which will address innovative business models for clean energy access (private sector) and key recommendations for best working regulatory frameworks (public sector) for Latin America and the Caribbean. Interested in contributing with a case study or to assist with developing key recommendations for the public sector? Please contact ARE Executive Director Marcus Wiemann. 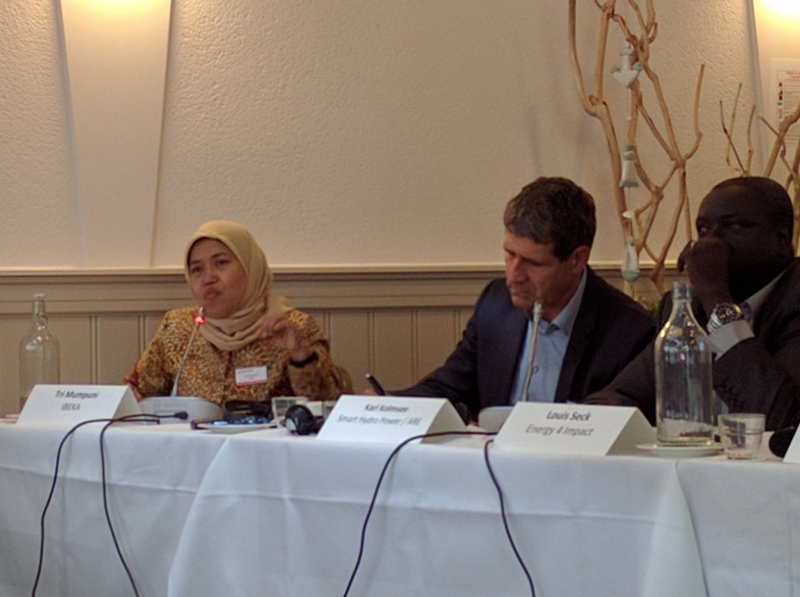 The event held in Brussels, Belgium on 20 June 2017 gathered European Parliamentarians, policymakers, civil society, private sector representatives, researchers, scientists and others to discuss the direction of the ‘new consensus’ and the SDGs. The event focused on people living in rural areas of developing countries at the bottom of the pyramid and as part of the "last mile". Particularly, cultural aspects of projects and empowerment of local communities was discussed. In that regard, ARE Board Member Karl Kolmsee (Smart Hydro Power GmbH) shared his experiences on working with remote communities in Latin America. Intersolar South America is one of today's world leading exhibition series for the solar industry. This year’s trade fair will take place at the Expo Center Norte and focuses on the areas of photovoltaics, PV production technologies, energy storage and solar thermal technologies. Since being founded, Intersolar has become the most important industry platform for manufacturers, suppliers, distributors, service providers and partners of the solar industry. As a result of an established partnership with Intersolar, ARE will organise and implement a half-day information and mobilisation Workshop on Off-Grid Rural Electrification on 22 August 2017 with high-level speakers from the public and private sector. Latin America: outlook on renewable off-grid energy. Renewable energies and their role in rural development. In addition, the Inter-American Development Bank (IDB) and ARE have expressed their interest to work together with the common objective to promote SEforALL targets. The half-day information and mobilisation workshop will also serve as a platform to collect case studies in the region for a joint publication which will address innovative business models for clean energy access (private sector) and key recommendations for best working regulatory frameworks (public sector) for Latin America and the Caribbean. Interested in contributing with a case study or to assist with developing key recommendations for the public sector? Please contact ARE Executive Director Marcus Wiemann. Senegal is one of the politically most stable countries in Africa and the second fastest growing economy in West Africa. Senegal’s national electricity access rate is estimated to be less than 30% in rural areas. The falling prices of PV panels and system components make solar an attractive solution, particularly, if the costs of the alternatives – imported oil products – are high. The RECP trade missions aim to stimulate the market for renewable energy in Africa by encouraging and supporting private sector engagement. The trade mission to Senegal from 25-28 September 2017 will consist of up to 15 European companies from the European solar sector and up to 20 Senegalese companies as well as five companies from other African countries. Organised B2B-exchange and matchmaking will enable the participants to identify new business opportunities, exchange know-how and find partners for joint business development. To catalyse the discussion, RECP will invite Senegalese and international financiers, including commercial and development banks, as well as governmental stakeholders to share their input. ARE Member Phaesun is putting together an extensive three-day workshop programme which includes ARE training on rural electrification, expert lectures given by international experts, Do-It Yourself Workshops, discussions and networking activities, the different applications of independent solar, wind and hydropower are carefully examined. Topics such as rural electrification, solar water supply, water desalination and applications in the industrial and leisure time sector are in the foreground. In the framework of the workshop programme, visitors can also inform themselves about the enterprises and their product innovations and services at fair booths on a surface of more than 800 m². This workshop is directed to parties interested in independent off-grid power supply. ARE Member Phaesun will invite its customers, among them solar installers, wholesalers and retailers of electronics, online shop operators, project planners, representatives of non-profit and aid organisations, representatives of state organisations, caravan and marine accessories’ traders, etc. Phaesun expects about 50% visitors from Germany and its neighbouring countries, while the other 50% are supposed to come from Southern and Eastern Europe, Latin America, the Middle East and Africa. 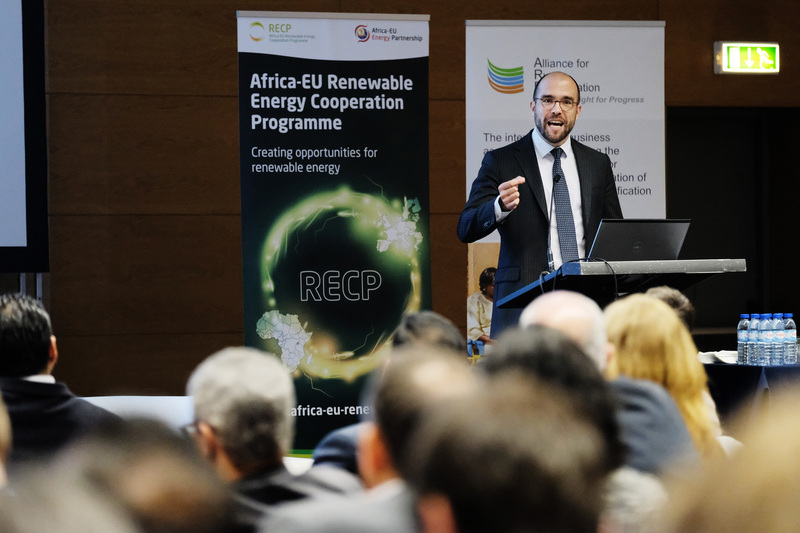 ARE, with the kind support of the African-EU Renewable Energy Cooperation Programme (RECP), is pleased to invite you to the workshop “Talking business: Microfinance for decentralised renewables in Africa” on 9 October 2017 in Addis Ababa, Ethiopia, in the framework of the African Microfinance Week (SAM in French). The workshop targets renewable energy companies & project developers, microfinance players (including investors, MFIs, researchers, banks, networks, governments, insurers, etc.) as well as the public sector interested in decentralised renewables in Africa. The SAM taking place on 9-13 October 2017 is organised by the African networks African Microfinance Transparency (AMT), Microfinance African Institutions Network (MAIN) and African Rural & Agricultural Credit Association (AFRACA) and brings together the entire microfinance industry (investors, MFIs, researchers, banks, networks, governments). This is a great chance to network and also a unique opportunity to participate in two days of conference, three days of trainings and workshops, plus the Innovation Fair and the Investor's Fair. It is important to note that participation at the ARE workshop necessitates registration to the Microfinance Week. The registration link for the workshop will be made available shortly on our website. Please follow us for the latest updates. 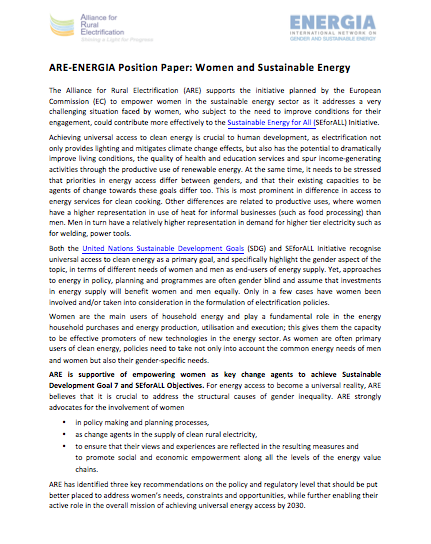 ARE and ENERGIA support the initiative planned by the European Commission to empower women in the sustainable energy sector as it addresses a very challenging situation faced by women who could contribute more effectively to the SEforALL Initiative in case conditions of their engagement in the modern energy sector in the developing world would be improved. to promote social and economic empowerment across the energy value chains. 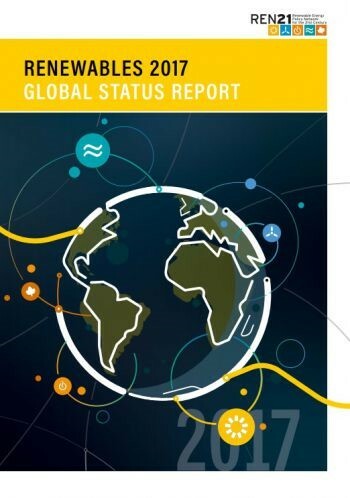 The 2017 edition of the REN21 Renewables Global Status Report (GSR) reveals a global energy transition well under way, with record new additions of installed renewable energy capacity, rapidly falling costs, particularly for solar PV and wind power, and the decoupling of economic growth and energy-related carbon dioxide emissions for the third year running. Innovative and more sustainable ways of meeting our energy needs are accelerating the paradigm shift away from a world run on fossil fuels. The study reveals that the markets for mini-grids and stand-alone systems are evolving rapidly and Pay-As-You-Go (PAYG) business models, supported by mobile technology, are exploding. In 2012, investments in PAYG solar companies amounted to only USD 3 million; by 2016 that figure had risen to USD 223 million (up from USD 158 million in 2015). 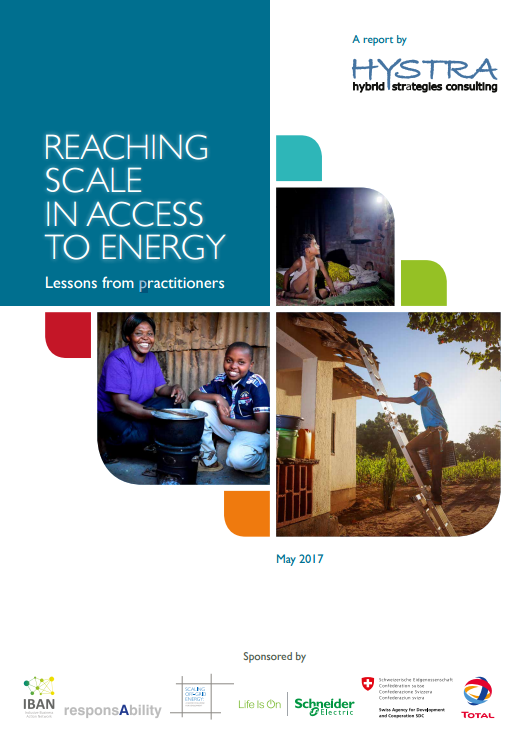 This report investigates barriers and solutions to scale for market-based approaches offering cleaner energy access to low-income customers in developing countries, for home and small scale productive uses. The objective is not to provide an exhaustive view across all technologies and geographies, but rather to learn from a selection of the most innovative and successful practitioners, representing solutions with high potential and innovation dynamics: solar lanterns, solar home systems, clean energy microgrids, solar irrigation pumps, and improved cook stoves. Please note that views expressed in the Co-Editorial, the In Focus section and the Special Feature of the newsletter, are those of the contributors and do not necessarily reflect ARE’s opinion.